Downtown Lancaster was platted by the Southern Pacific Railroad in the late nineteenth century as a simple grid of streets, much like many other California railroad towns. Over the next century, Lancaster became a sprawling suburb, losing much of its traditional downtown character. 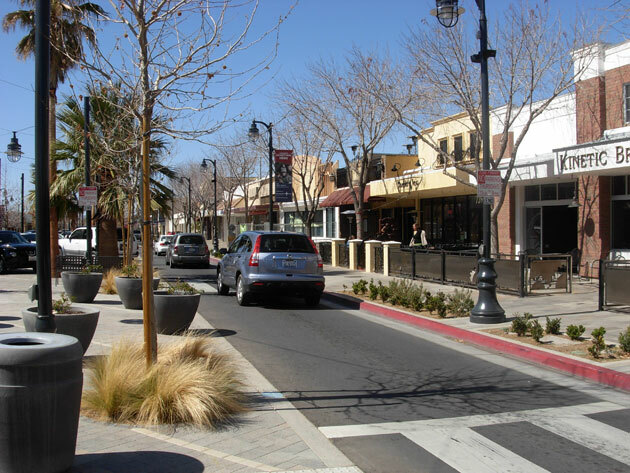 Lancaster Boulevard, the City’s main street, suffered from high-speed traffic, poor pedestrian facilities, excessive parking and reduced retail activity. 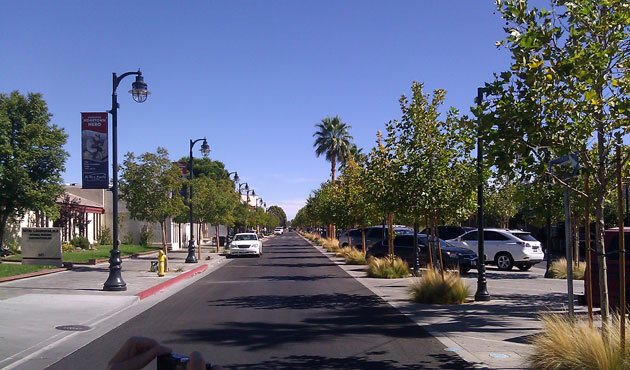 After initiating change with the completion of the Downtown Specific Plan in 2008, the City retained Moule & Polyzoides to redesign the Boulevard’s streetscape. 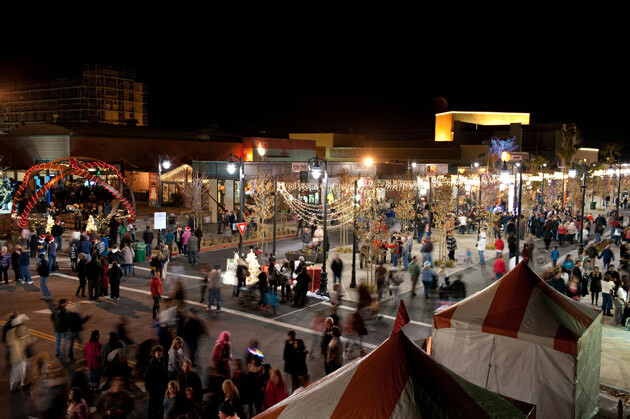 The Moule & Polyzoides vision focuses on establishing a new image for downtown Lancaster. 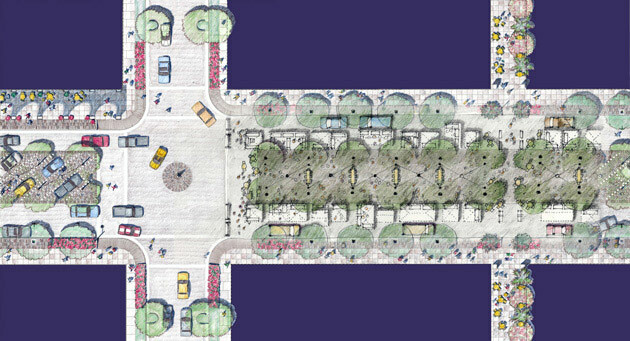 It is centered on reconfiguring the Boulevard into a rambla and designing adjacent streets, plazas and paseos to generate a superior public realm. Among the plan’s key elements are wide, pedestrian-friendly sidewalks, awnings and arcades, fewer travel lanes, enhanced crosswalks, abundant street trees and shading, and added lighting, gateways and public art. 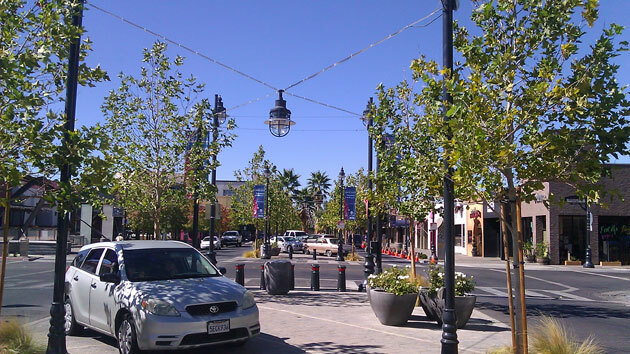 Lancaster Boulevard has been transformed into an attractive shopping destination, a magnet for pedestrian activity and a venue for civic gatherings, which will help ensure long-term economic prosperity. 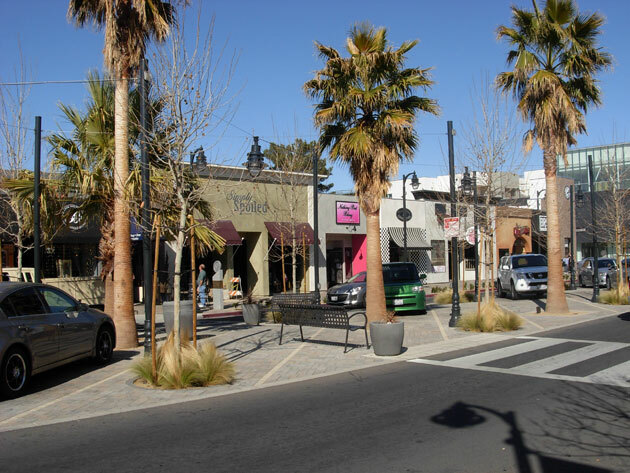 The BLVD has attracted 52 businesses since late 2009. While Lancaster’s assessed property valuation fell 1.25% overall from 2011 to 2012, property values in the downtown area rose 9.53%. This increase was nearly three times the increase of the Amargosa area, the next-highest in the City. Private investment is estimated at $130 million. Over 800 permanent jobs have been created, in addition to approximately 1,100 temporary construction jobs. Just over 800 housing units have been constructed or rehabilitated. Over 145,000 square feet of commercial space has been constructed or rehabilitated. New public amenities include American Heroes Park, a 13.5-acre, $7 million facility, and the Lancaster Museum of Art & History, a three-story, 19,246-square-foot complex. 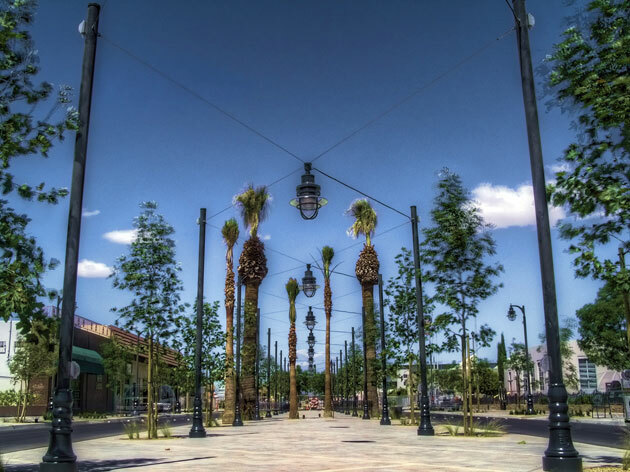 View down central ramblas, which can be used for parking or to accommodate vendors or exhibits during public events. When not in use for a public event, the central ramblas provides additional parking. Traffic-slowing measures were incorporated, creating a safe and inviting pedestrian environment.